"If you like guitars, you're going to love this book ... one of the best guitar books I've seen." "This is a beautiful book ... You don't have to know music to appreciate this terrific book." For Stephen Arnold, often referred to as the "most heard, least known composer in America," it was never about the expensive or unique guitars amassed over a lifetime in his one-of-a-kind collection, it was about how these beloved instruments of his have the power to capture a moment and a place in time. 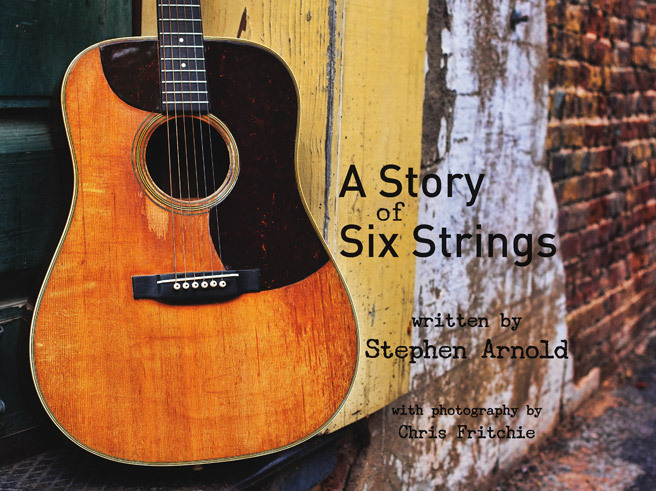 A Story of Six Strings brings into sharp relief the intersection between Arnold's lifelong passion for music and Fritchie's keen eye for breathtaking photography. Set against some of the most majestic landscapes in America are guitars that range from a 1959 Sears Silvertone Acoustic to an 1840 Parlor Guitar handmade by Nicholas Henry in France, a 1994 Ibanez "Iceman" signed by Paul Stanley of KISS, and a 2008 Gold Tone Resophonic. The love is clear—after all, who really has their first guitar? Sound carries. Strings vibrate and melodies take us back to other times and places. 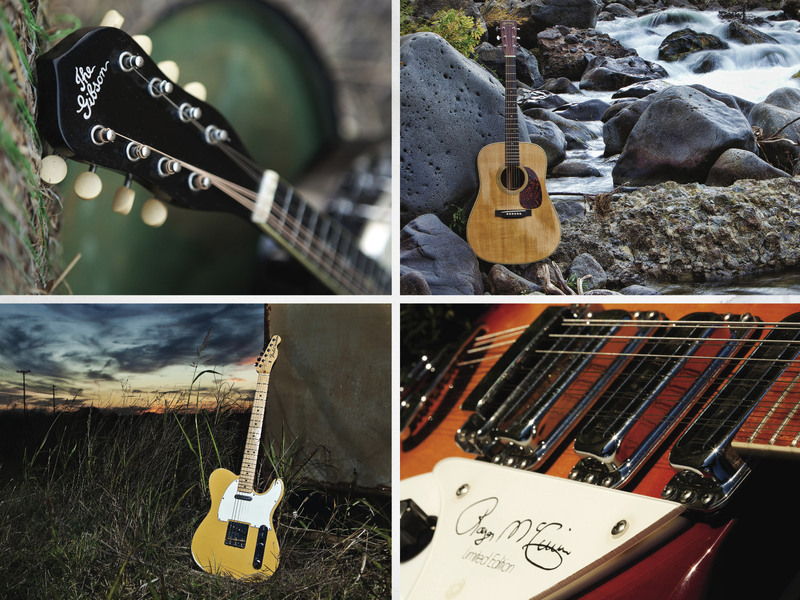 This book is about guitars that stand firm—older but unchanged by their travel through time. The photographs in this book place the personalities of the instruments in context—both unique to Stephen Arnold and as part of a broader journey through the American heartland. I first met Stephen across a conference table in Atlanta more than a decade ago when I was the creative director at CNN. He had traveled to Georgia from Texas and I had come from New York City. Our individual paths intersected that day at the sound of his acoustic guitar ringing behind an unusual mix of orchestration and world beat. I had begun my own career as a musician and a songwriter, and I recognized the shared highway at once. Years later when I had the opportunity to commission music for Peter Jennings' In Search of America — a documentary series highlighted in this book — I turned to Stephen and his six- string guitar. Finding a theme to capture the fabric of our national story would take someone who understood these things. The photos that follow honor the distance between instruments and the ripples in the air they leave behind—between guitars and the ever-changing landscape of the music they produce. But more importantly, this book celebrates the common ground between the artist and the listener—and the reader who will find their own memories resonating in these pages.